India’s Prime Minister Narendra Modi, during his Independence Day speech today, announced that the country is set on flying its first manned space mission by 2022. This comes in light of recent developments such as testing of the crew escape system and increased push on part of ISRO to hand over satellite assembly, integration & testing to private players, presumably to focus on big ticket items such as crewed missions and larger launch vehicles. “Our country has made steady progress in the realm of space [exploration]. But we and our scientists have resolved that on or before the 75th year of Independence (2022), either a son or daughter of India will explore space carrying the flag of the nation. 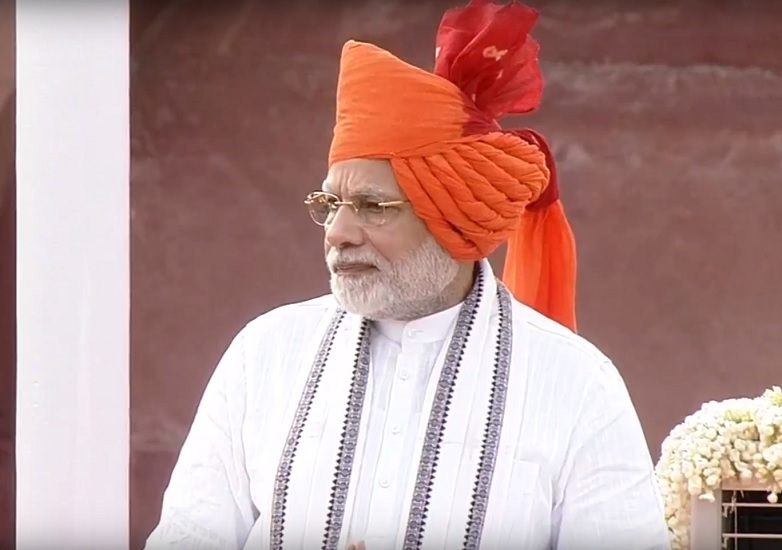 The manned mission, Gaganyaan, will see India becoming only the fourth nation in the world to put a human being into space,” said Modi in his speech. He hinted that the program would be developed entirely by means of indigenous technology. The launch vehicle most likely to be used is the GSLV Mk III, though it has not yet officially been adapted for crewed missions. So far, only one Indian citizen has been to space — Rakesh Sharma, an Indian Air Force pilot, who flew aboard a Soviet mission in 1984.